Drone Shot Strafing Slowly Across A Glacier Toe Runoff Lake In Iceland. 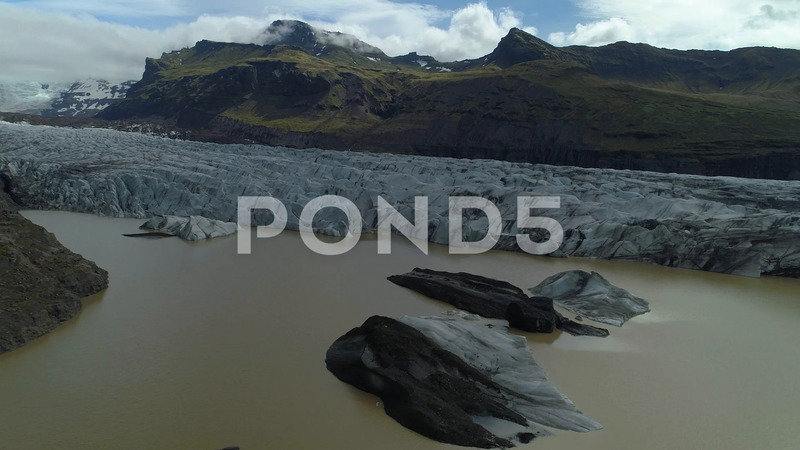 Description: Drone shot strafing slowly across a glacier toe runoff lake in Iceland. Slow pan left and jib up looking at glacier. Green mountains with clouds in background.